To celebrate Roger's 21 years of quality, excellence and individuality we're introducing�a�timeless�piece�of�eyewear�that represents those values.�Complimentary�to�this�unique�piece�is�a��hand crafted key ring and stand to match. Available for a limited time only through Stockists. 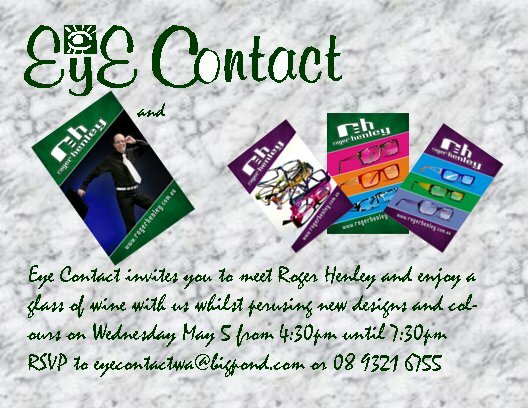 Be An Individual with Roger Henley Eyewear! Our much anticipated evening with Roger Henley Collection is back. �We've done something fancy with our frames. Painted stainless steel temples. 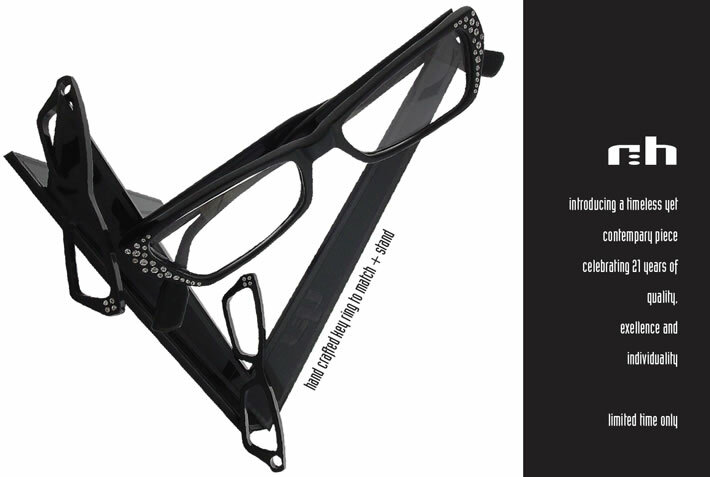 Click here to check out our new combination frames library.